We have some great spring snow conditions now. 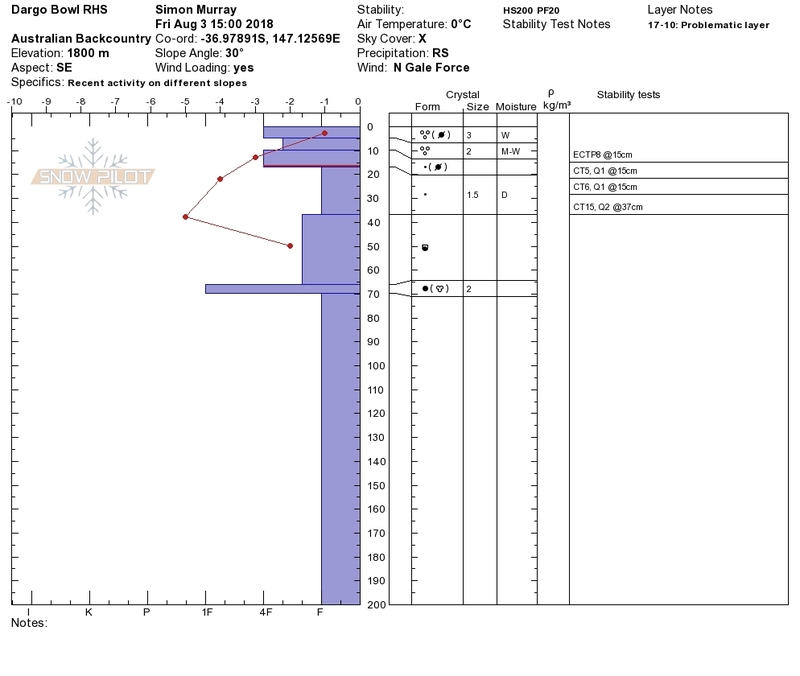 The surface has firmed up into the classic freeze thaw cycle. Not so much a 'corn harvest' as a couscous feast. A wet front is extending across the state during the daylight hours of Thursday. This will turn cold later falling as flurries and extending into Friday. We are issuing a wet slide / wet slab warning for the rain event and the warming cycle set to follow into the weekend. As the cohesion is weakened by the rain the conditions will again deteriorate. With a likely reactivation of the variable yet generally poor bond buried at 35cm - 45cm between last weeks wet snow event and the pre-existing bed surface. A persistent weak layer as such. 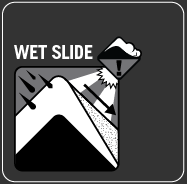 The slide characteristics tipped between loose wet and slab pending the amount of rain and wether it penetrates the bed surface or pools. 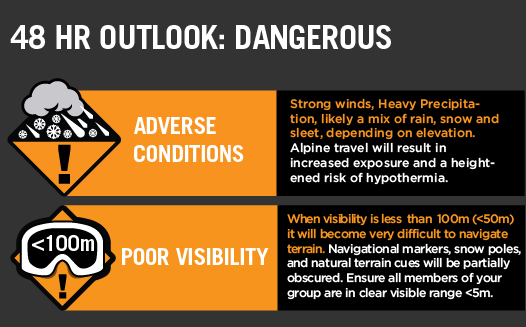 The longer the exposure to solar radiation and the steeper aspects are the focus of concern for this type of avalanche problem. Specifically higher (+1700m) steeper (+28˚) North East aspects as they are wind loaded making the danger scale large and likely. 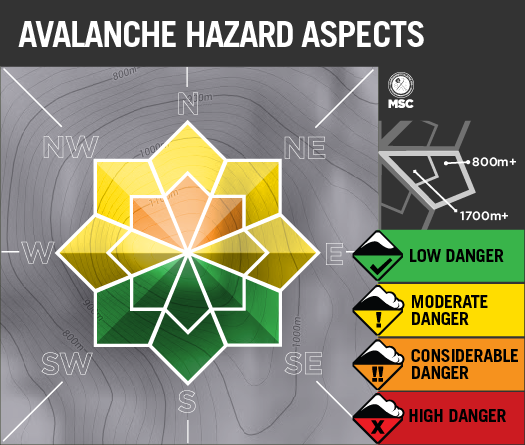 Specifically isolated Considerable Avalanche Danger on those aspect during extended warming periods (see below). Welcome to Spring, watch out for buried weaknesses. With a 2m snowpack (4m on windloaded aspects) we are urging people to be careful and stay well clear of the cornices. The stability of these features has improved over this last week, however with rapid warming or rain they will again become prone to collapse. Caution required with creek crossings as transported snow from angles North to South and East have created windlips that encircle and thinly conceal deep wider creek holes.